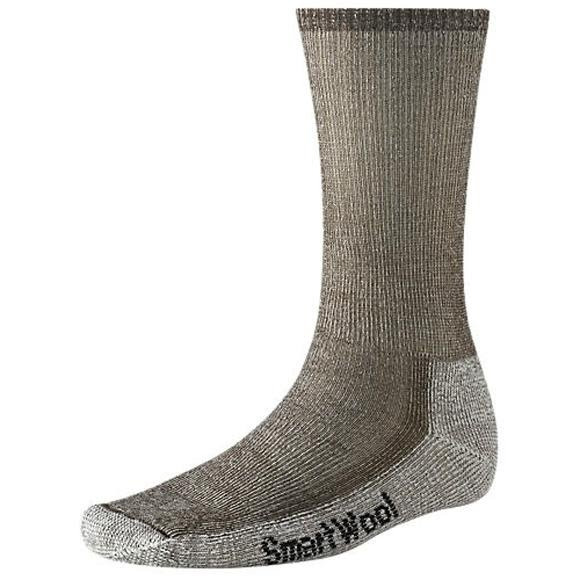 A good all-purpose three-season outdoor Smartwool sock, designed for rugged day hikes or lightweight backpacking. Arch brace holds the sock in place and adds additional support. Flat-knit toe seam keeps you comfortable. The original SmartWool Fit System provides a great fit with two supportive bands around the arch and ankle of the sock. WOW (Wool on Wool) Technology provides high-density cushioning under heel and forefoot that protects against shock and abrasion; lower-density cushioning under arch and around Achilles reduces weight without sacrificing fit or support. SmartWool&apos;s fibers offer the most efficient moisture-moving system on the market. Transports water while it&apos;s still in the vapor stage, before it condenses(keeps you drier longer). Works with your body&apos;s heating and cooling system, keeping you cool in the summer and warm in the winter. Suitable for a wide range of conditions.